I have a family floater for my parents, wife and myself. We were blessed with a daughter last month. Should I buy a separate policy for her or include her in the existing family floater? If your family floater sum insured is adequate for the entire family then you may think of adding your newborn daughter in your existing policy. If the family floater sum insured is inadequate for the entire family, then it would be better to have a separate policy for her. My wife and I have health insurance coverage of Rs 500,000 each, while my son has health insurance coverage of Rs 1 million (Rs 10 lakh). Now he plans to go abroad for studies. We have already purchased another policy for him, as required by the foreign university. Can we move his cover to ourselves? If so, how can we change the coverage? What would be the tax implications? My wife is 55, and I am 59. As your wife and you are covered for Rs 500,000 each, you will be eligible for this sum insured only, unless you get it enhanced at the time of renewal. You will not be able to use your son's sum insured for yourself. I suggest that you continue renewing your son's policy too so that he remains covered whenever he comes back to India. As for the query on income tax, you are allowed to claim a deduction of up to Rs 25,000 in each financial year, for the medical insurance premium that you pay. The premium should be for your spouse, dependent children, and you. At the time of renewal, if you and your spouse have turned 60 or more, then the amount of deduction you can avail of goes up to Rs 30,000. My husband is retired and doesn't get a pension. Both of us have health insurance cover for Rs 300,000 each. Is this cover sufficient for both of us? A health insurance cover of Rs 300,000 may prove insufficient. We suggest that you enhance it to a minimum of Rs 500,000, depending on how much premium you can afford. I have heard a lot about telematics. What is it and can it help to bring down car insurance premiums? How will it do so? Are telematics-based policies available? 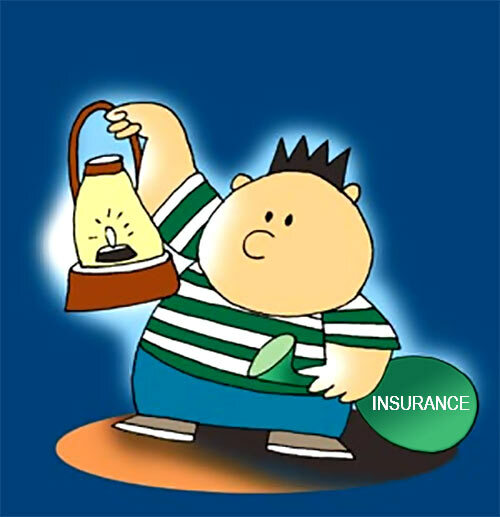 At present, premiums for personal insurance products like motor and health are calculated based on general parameters. For instance, the premium for a car depends on the make and model, its engine capacity, the geography in which it plies, fuel consumption, etc. Telematics refers to the integrated use of communications and information technology to transmit, store and receive information from telecommunication devices to remote objects over a network. Telematics has now become a popular tool with insurers for monitoring the driving patterns of customers. With this, insurers are in a position to assess the driving behaviour of the customer and can rate him accordingly. As a result, they can modify the premiums arrived at by applying the general parameters, duly factoring in the customer's driving scores. Consequently, the rates charged for auto insurance become more realistic, fair and equitable. A good driver stands to get a better rate. Similarly, health premiums are generally based on the age of the customer, past history of illness, surgery undergone, present health condition, etc. Telematics in the form of wearables will help to capture the customer's lifestyle in terms of her/his fitness practices and add this relevant dimension to the computation of her/his health premium. As with motor premium, telematics helps to make the rating person specific. More importantly, this enables insurers to monitor the quality of risk they are exposed to continuously. They can take corrective measures as warranted, unlike in the past when the insurer ceased to have any oversight of the risk once accepted.